Karen Parks is President, CEO and Director of Stagebound, Inc., which presents vocal intensives, workshops, seminars, and produces professional performances. Karen is also founder of Ottimavoce, Inc., a production and recording company. Karen served as National Panelist for Classical Voice at YoungArts and currently serves on the Voice Faculty at New York University's Tisch School of the Arts (New Studio on Broadway). She continues to perform both nationally and internationally and maintains a private voice studio with instruction offered (including Skype/FaceTime lessons) in all genres of music. Karen's voice clients and students have performed at major opera houses and concert halls, nationally and internationally, including Carnegie Hall and the Kennedy Center. They also perform leading roles on Broadway and National tours in The Book of Mormon,Phantom of the Opera, Newsies, The Lion King, West Side Story and have been selected to perform on the highly coveted Broadway's Rising Stars program at New York City's Town Hall. The majority of Karen's students are featured in leading roles for their university productions and her students have been accepted (more than 95% on full scholarship) to major universities including Julliard, Manhattan School of Music, NYU, AMDA, Oberlin Conservatory, Berklee School of Music, Mannes, University of Michigan, Indiana University and University of North Carolina Chapel Hill. Karen's career highlights include performances with the San Francisco Opera, London Symphony, Budapest Symphony, Göteborg Symphony, Helsinki Philharmonic, New World Symphony and the Boston Pops. She performed a concert commissioned by Dame Janet Baker at Barbican Hall, toured as Micaela in Carmen with the San Francisco Opera's touring company and sang the role of Nedda inPagliacci for three seasons at the Savonlinna Opera Festival. 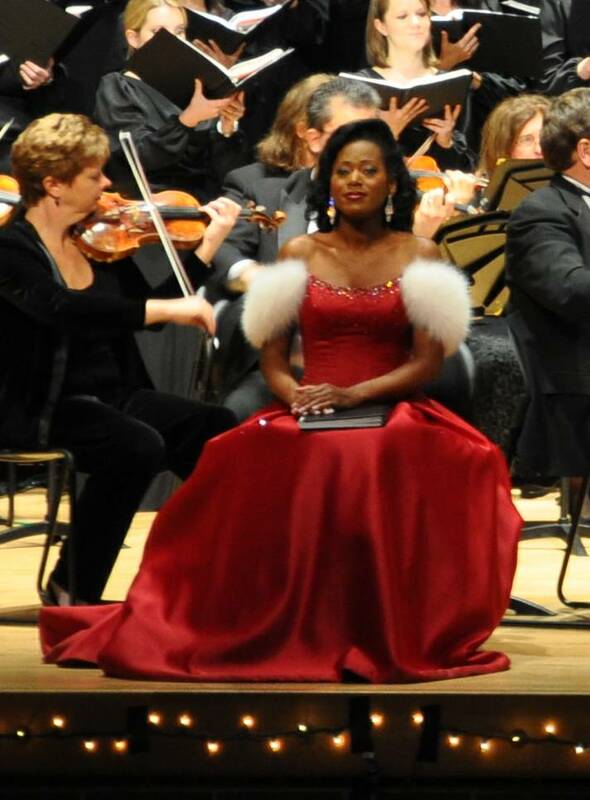 She has performed in twelve languages at major opera houses and concert halls worldwide including Carnegie Recital Hall, Alice Tully Hall, The Kennedy Center and the Boston Pops. Her numerous solo and collaborative recordings include Nobody Knows, which debuted at #2 on the Billboard Charts (classical),Nocturne, the first English language album of Finnish classical poetry,Perfect Harmony (televised and aired internationally) and the role of Cindy Lou in Carmen Jones at Abbey Studios in London (EMI). Karen graced the London musical theater stage in the West End production of Carmen Jones at the Old Vic Theater and was nominated for an Olivier Award. A Fulbright scholar, Karen was the first recipient to be granted exclusive study with Maestro Gabriele Pisani at the prestigious La Scala Opera House in Milan, Italy. Her studies culminated in a debut solo performance with the Maestro at the piano.